Snapchat is now the preferred social network amongst teenagers. Snapchat is comfortably ahead of former most popular kid on the block, Instagram, while Facebook and Twitter are both languishing a long way behind their younger, hipper sibling The Definitive Gen X Guide to Snapchat The Definitive Gen X Guide to Snapchat I've decided to help bridge the gap and explain Snapchat in terms any Gen Xer can understand. Read More . Oh, and if you’re over 35, Snapchat isn’t for you. Piper Jaffray has conducted its latest Taking Stock With Teens survey. Since starting in 2001, the survey has captured a snapshot of trends and preferences amongst U.S. teenagers. For the latest survey, Piper Jaffray polled 6,100 teens across 44 U.S. states with an average age of just 16. The results (via Recode) show that Snapchat is beloved by more teens than Instagram, Facebook, and Twitter. 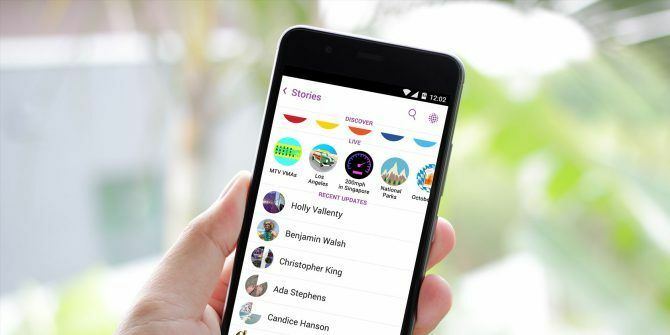 Almost half (47 percent) of those questioned prefer Snapchat; a 12 percent increase year-on-year. 24 percent prefer Instagram, 9 percent prefer Facebook, and 7 percent prefer Twitter. What’s interesting about this is that Instagram has many more users than Snapchat. But, just like its parent company Facebook, Instagram’s users clearly cover a wider age range. However, the younger generation is all about Snapchat, with the majority of its users being under 35 years old. To be honest, it shouldn’t come as any great surprise to learn that Snapchat is the preferred social network amongst teenagers. Even us oldies over 35 suspected that was the case. However, it’s good to see this borne out in statistical form, rather than just being an educated guess. As good as this is for Snapchat, the lack of love amongst teenagers for Facebook and Twitter is startling. With 1.6 billion users Facebook probably doesn’t care. But Twitter is struggling to keep hold of its current users, so the fact that teenagers aren’t keen might be the final nail in its coffin Why Twitter is Right to Be Terrified of Snapchat Why Twitter is Right to Be Terrified of Snapchat We can't pinpoint exactly when Twitter first started taking Snapchat seriously as a threat, but we can bet that August 30 2015 was a bitter moment in Twitter's memory. Read More . Do you regularly use Snapchat? Is it your favorite social networking site? Or do you prefer Instagram, Facebook, or Twitter? How old are you? Do you think age play a big part in which social network you prefer? If so, why? Please let us know in the comments below! It was said long ago that "Great minds discuss ideas, average minds discuss events and trivial minds discuss people". All these social networks, past present and future, only show the glaring proof there are entirely too many trivial minds around. And if you're a business that's to damn lazy and cheap to publish your own REAL website and use "My Face", "Space Book" or whatever instead, you need to fail. Love snapchat been using for my business for nearly 5 years. I’m 52 years old. I’m a influential live streamer on many platforms. I use twitter Facebook and Instagram too. Below is what I wrote on LinkedIn and my Facebook page. I hear a lot of the older crowd on social media, marketing and small business owners saying let the kids play with #snapchat. Guess what? Those kids grow up, get good jobs, make money and spend the money. They will remember Chocolate Johnny (snapchat name chocjohnny) from Perfection Chocolates & Sweets on Snapchat, Inc. because he tells a story. ChocJohnny builds a relationship, builds trust and they come and buy heaps of chocolates. Its already happened. We geofenced the local high schools and offices. We did a snapchat coupon. On the coupon it said come to Perfection Chocolates in Sydney. You must screenshot the coupon from our snapchat story. You must buy one of our hot chocolates and you get the second one free. You have 24 hours to bring it into the store. A total of 63 people came into our store. We got their email address. They bought a hot chocolate. We gave them one for free and 35 people bought more chocolate. And now they are regulars. Thanks snapchat. 1. 71% of Snapchat users are under 34 years old. 2. Roughly 70% of Snapchat users are female. 3. People under the age of 25 use Snapchat for 40 minutes on average every day, more than @Instagram's latest stat for same demographic. 4. 45% of Snapchat users are aged between 18-24. I am 14 and I am on GitHub and nothing else.